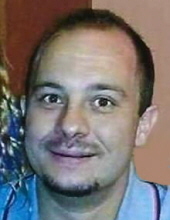 James Mathew “Jimmy” “Bimbs” Grider, 37, of Spring Valley, passed away Monday, April 8, 2019 at his home. Funeral services will be 7 p.m. Monday, April 15, 2019 at the Mueller Funeral Home, Peru with Rev. Betty Delgado, pastor of Trinity United Church of Christ, LaSalle officiating. Visitation will be from 4 p.m. to 7 p.m. Monday at the funeral home. James was born on November 10, 1981 in Maywood to James and Cheryle (Grider) Passero. Jimmy attended several trade schools and was a self-employed roofer. He is survived by his parents of Spring Valley; his daughter, Jasmin Grider of Princeton; three sisters, Karrie Grider Green of Berwyn, Marie Grieco of Countryside and Stephanie Grieco of Evanston; one brother, Michael Grider of Madison, WI and his grandparents, Wayne and Margaret Grider of Oswego. He was preceded in death by his grandparents, James and Natalie Passero and one brother, Alfonzo “Puff” Dominic. Memorial contributions may be directed to the family. To send flowers or a remembrance gift to the family of James Mathew Grider, please visit our Tribute Store. "Email Address" would like to share the life celebration of James Mathew Grider. Click on the "link" to go to share a favorite memory or leave a condolence message for the family.